Green Mountain Grills comes to New Mexico! 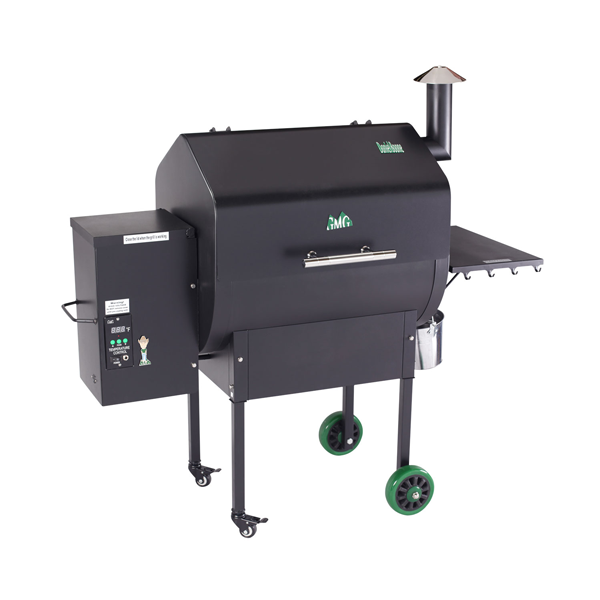 These wonderful wood burning pellet grills are the best value in the hot new pellet grill market. Barbecue experts know that true BBQ comes from cooking with wood at a low and very consistent temperature. 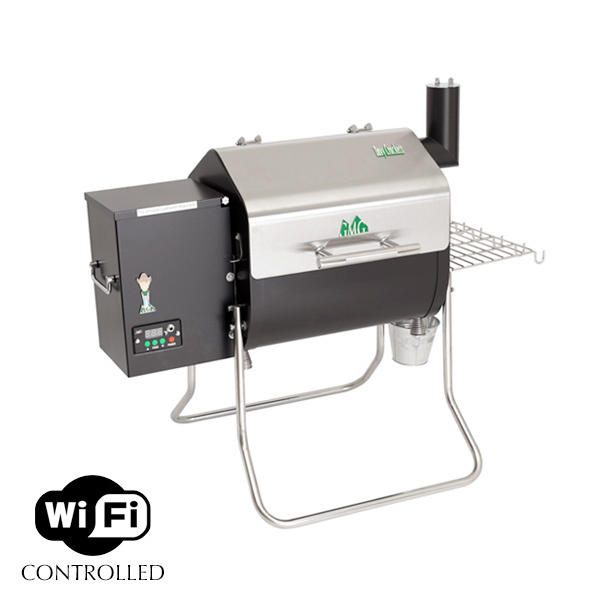 These grills use 100% hardwood pellets as their fuel source and are push button easy to operate. The digital control allows you to set the temp from 150 to 500 degrees in 5 degree increments. Easy as an oven! Just set it and forget it. All of the heat is indirect, making it near impossible to burn your food. Have you ever tried to cook ribs, brisket, pork shoulder, or a whole turkey on a gas grill? Gas dries food out during longer cooks, while 100% hardwood has moisture inherent. And hardwood has flavor, naturally. Charcoal is wood that has already been burned and does not have the flavor component of real wood. We stock real hardwoods from Wisconsin such as Hickory, Red Oak, Cherry, Apple, Pecan and Maple. Mesquite and Black Oak from Texas. Cooking with real wood makes a big difference. These versatile grills can smoke, roast, bake or grill. Steaks and burgers stay juicy and tender. Slow cook ribs, brisket, chicken, turkey and pork. Smoke salmon, cheese, make your own jerky, roast beef, pastrami, baked beans and meatloaf. Smoke whole chickens and turkeys, then turn it to 500* and you have a wood fired pizza oven! Remember, it is an oven, so use it to bake bread, cobblers etc. There is no smoke flavor at higher baking temps (350*) so use it as an oven and don’t heat up your house in summer. Visit the website at greenmountaingrills.com to see the models, accessories, prices, videos, pellet usage chart, and recipes. Your Albuquerque dealer is The Golfmeister, providing excellent customer service for 23 years. We have display models and product in stock. 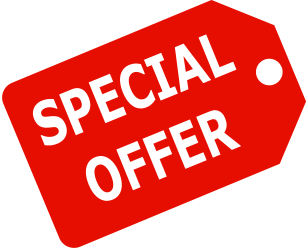 Call and we will show you the quality that Green Mountain is known for. Sometimes we cook bacon at the shop, so maybe you’ll get lucky!